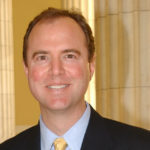 Over the past twenty-four hours, a number of major news outlets have published articles asserting that House Intelligence Committee Chairman Adam Schiff is accusing Special Counsel Robert Mueller of not digging deep enough into Donald Trump’s criminal finances. This has already been painted as a brewing controversy and a sign that Mueller may not be doing a real investigation. Here’s the thing: that’s not what Schiff said. Adam Schiff appeared on the Sunday morning talk show circuit yesterday and fielded a question about Robert Mueller’s investigation. More specifically, Schiff addressed the “red line” that Donald Trump tried to draw several months ago, when Trump demanded that Mueller not investigate his finances. Schiff merely said that, if Mueller were to adhere to this red line, it would result in an insufficient investigation. To help place Schiff’s words in context, we’ve seen numerous major media reports about Robert Mueller subpoenaing everyone from the Trump Organization to the financial institutions that Trump has done business with. In fact, awhile back we learned that Deutsche Bank has been cooperating with Mueller on this. In addition, Mueller’s highly publicized recent Supreme Court battle with an unnamed foreign government-owned company appears to be an attempt at getting to the bottom of Trump’s financial crimes. Adam Schiff is well aware of all of the above. He’s not going to make accusations against Robert Mueller that are at odds with the known facts. That’s not what he was saying on television on Sunday. He was merely talking hypotheticals in relation to Trump’s “red line.” The media knows that too – but hey, there are a whole lot of easy page views to be had by publishing a scary article that falsely claims there’s controversy between Schiff and Mueller.